After church, dad, mum and I decided to head for dinner. As usual we are always undecided on where we should go. Choices given from dad was Japanese or Italian but suddenly, Miss Kitty’s Saloon came to my mind because I always wanted to go there. So we ended up at Miss Kitty’s Saloon for dinner. One step inside Miss Kitty’s Saloon and I am already transported to a Western Saloon in America. When we walked in, we were greeted with a friendly smile and a great service. We were told that our table will be ready for us in 15-20 minutes time as it was quite full and while waiting, we ordered our drinks first while looking at the menu to decide what to order. I ordered the cocktail, Paloma (grapefruit, lime and tequila) for $14 and dad ordered the Brooklyn Lager ($9). After 15 minutes, we were seated at our tables and our orders were taken. 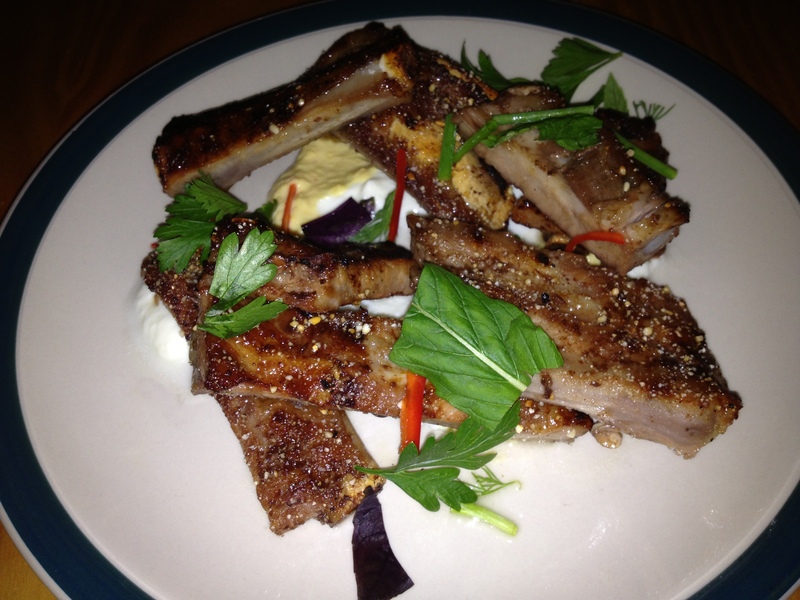 It is also apparent that the dishes are encouraged to be shared, similar to most pub foods. For the entrees, we had the Charcoal Tamarind Pork Ribs ($15.80) and we came to the conclusion that it was really tasty and finger licking good. 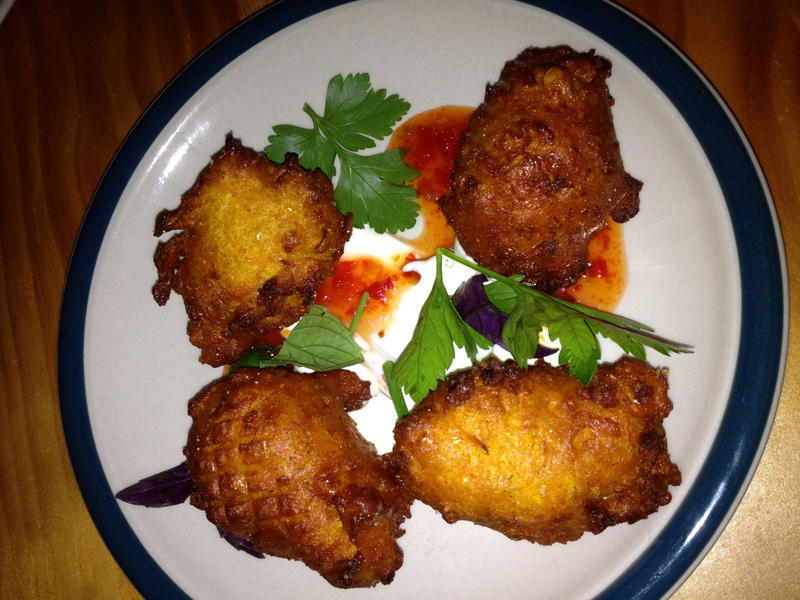 After the Charcoal Tamarind Pork Ribs, the Crisp Corn Fritters ($9) and the Hot Wing Pancake ($4.00 each) arrived and it was as good as the pork ribs. 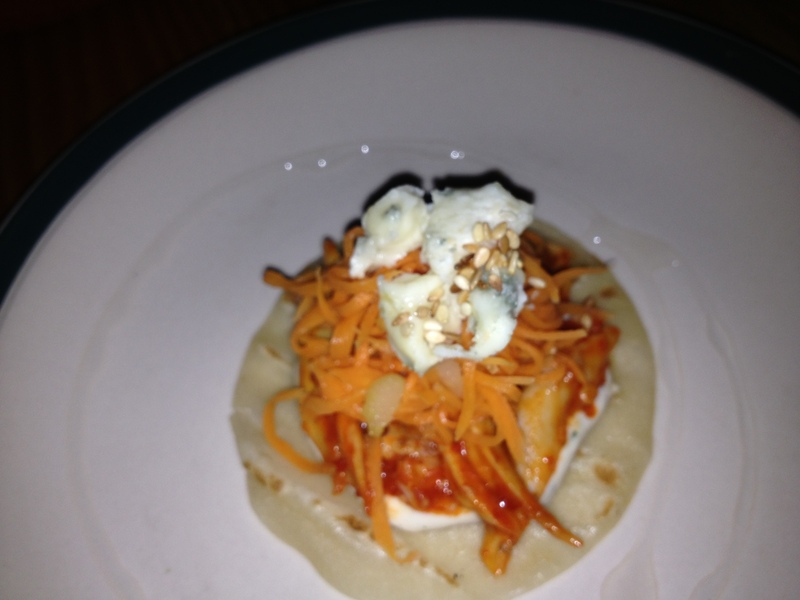 The Hot Wing Pancake is an individual serving which was a bit spicy but for me it was still bearable. Our mains arrived not long after with the Wood Charred Beef ($22) and Roast Suckling Pig ($36). 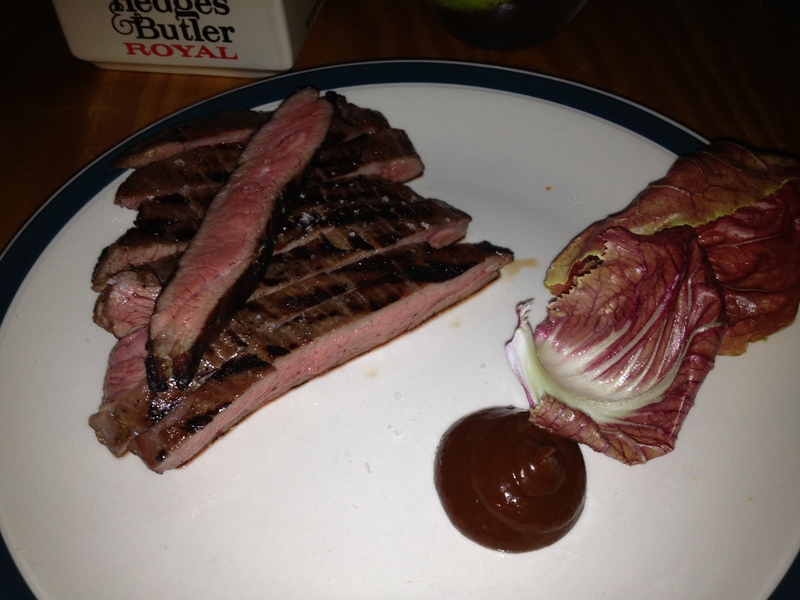 I really enjoyed the Wood Charred Beef which came with the BBQ sauce and it was thinly sliced and cooked to perfection. Because it was thinly sliced, it doesn’t make you feel full quickly. The Roast Suckling Pig which came with two pieces of the Turmeric Flat Bread was also quite good. 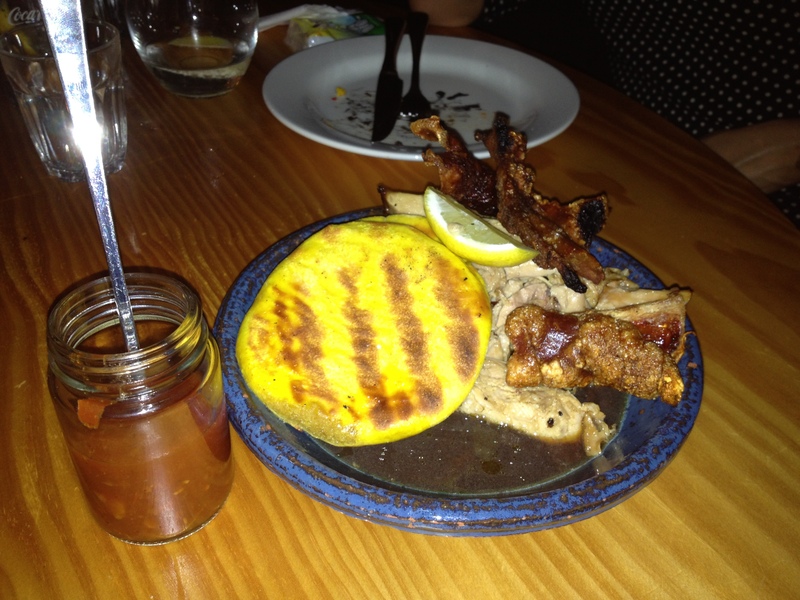 The flavours from the lemon and tomato relish blended well with the Roast Suckling Pig. Mum and I are not usually a big fan of pork but we did find ourselves having quite a bit of it. The crackling was also nailed to perfection which gives you a crispy and crunchy texture with every bite. The turmeric flat bread was also good and it was very fluffy. 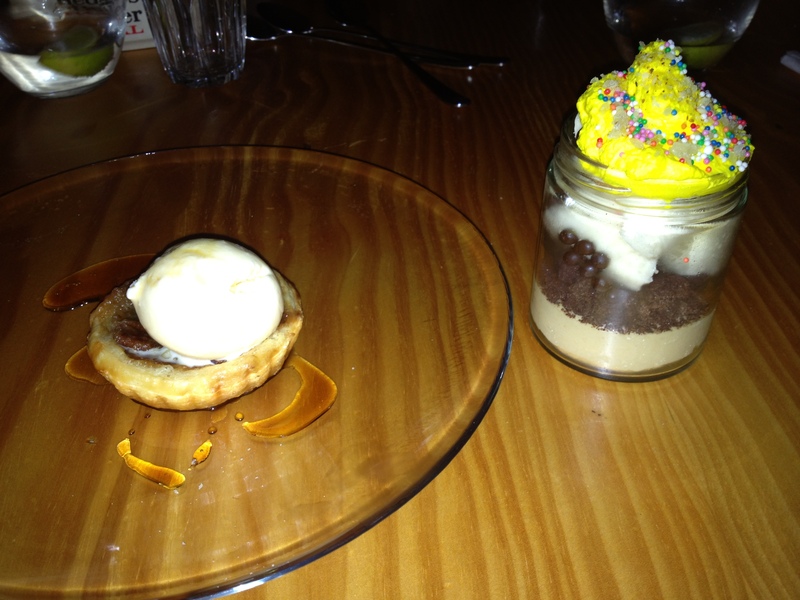 For the desserts, we ordered the Banoffee Pie ($9) which comes in a jar and the Pecan Butter Tart with maple ice cream ($9). Both desserts are amazing, that is all I can say. Every bite makes you want to have more of it! Overall, my family and I enjoyed dining at Miss Kitty’s Saloon and we will definitely be back. 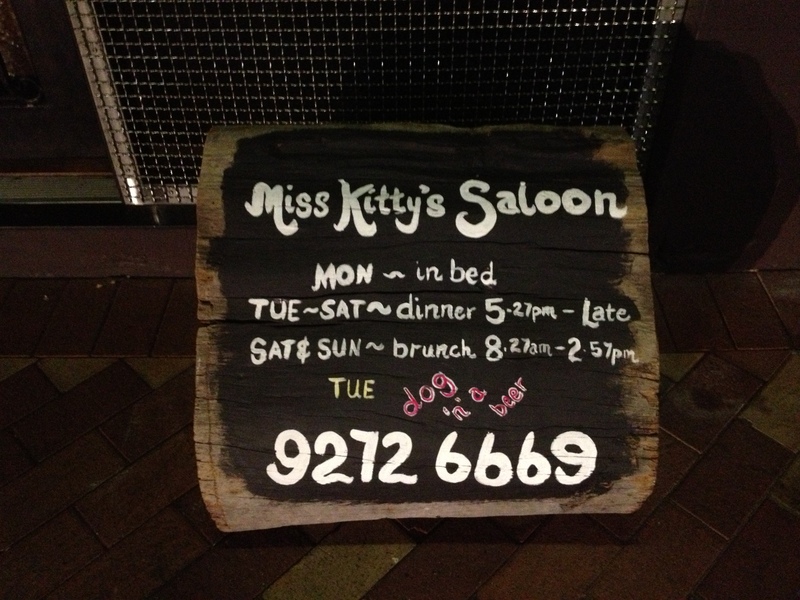 I would highly recommend Miss Kitty’s Saloon for good food, decent portions and great service.